The new wave in technology is taking software development to a different level. Today, it’s not only about development but about turning raw ideas into a great software application. Hundreds of development companies offer custom software development services but only a few stands out of the crowd. It’s because their approach for every business requirement is different and unique. The approach involves everything from defining requirements to designing, developing to debugging and deploying to support. Hence, enterprises and startups are looking for a renowned custom software development company that deeply understands their objectives and shape their ideas into a well-defined software. Your search ends here. Clavax technologies is one of the leading custom software development company located in San Jose, California with a presence in Australia. The company has 200+ highly skilled developers who understand the business challenges and solve it by delivering quality software engineered with latest technologies. The team uses critical thinking skills during the project which involves discussions and brainstorming to finalize the concept. This made GoodFirms spot Clavax technologies in the list of Top Custom Software Development Companies in its recent research. 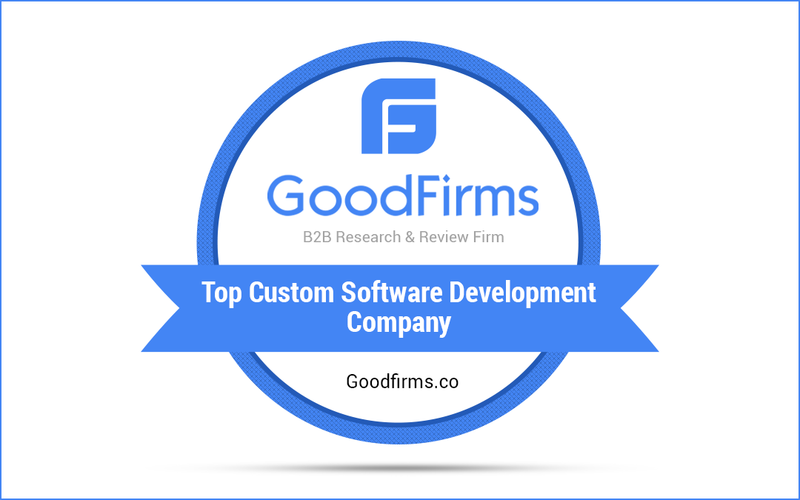 GoodFirms research methodology includes the analysis of different parameters and client reviews of each custom software development company which ensures transparency and reliability. These parameters include market presence, industry recognition, challenges and complexity level, product quality, resources, commitments- time and cost, industry outreach-categories and sectors served, awards and accolades, etc. During the research, GoodFirms found that Clavax Technologies takes a keen interest in understanding the real business problems and deliver high-productive software helping enterprises in achieving their goals. The developing team possesses tremendous talent and expertise in developing custom software applications. The clients were also impressed with their creativity and hard work and penned positive reviews at GoodFirms platforms. Clavax Technologies garnered excellent reviews from the clients. According to their clients, the software development team is cordial, passionate, and technically proficient. They also mentioned that they would recommend it to their colleagues and would choose as a partner again for their next software projects. “Their prices and their flexibility in their development capacity are what allows them to differentiate themselves from other companies.” – General Manager, Sam Media. “They were very responsive in communication, I was able to talk to developers directly, discuss progress and issues.”- Product Design Engineer, Agricultural Equipment Firm. According to the recent round of research, Clavax Technologies is listed in the top 10 Custom Software Development Companies. The company secured an overall score of 50 in Software Development and 48 in E-commerce Development out 60 points. The above scorecard represents their efforts and ability to deliver a customized software application exceeding clients’ expectations. GoodFirms spots Clavax Technologies in another category as well. They are among the Top Ecommerce Development Companies.